Court and I flew out to California for Labor Day Weekend and stopped for a night in Monterey to check out the coast and the aquarium (both awesome) before driving across the state to Sequoia and Kings Canyon National Parks. 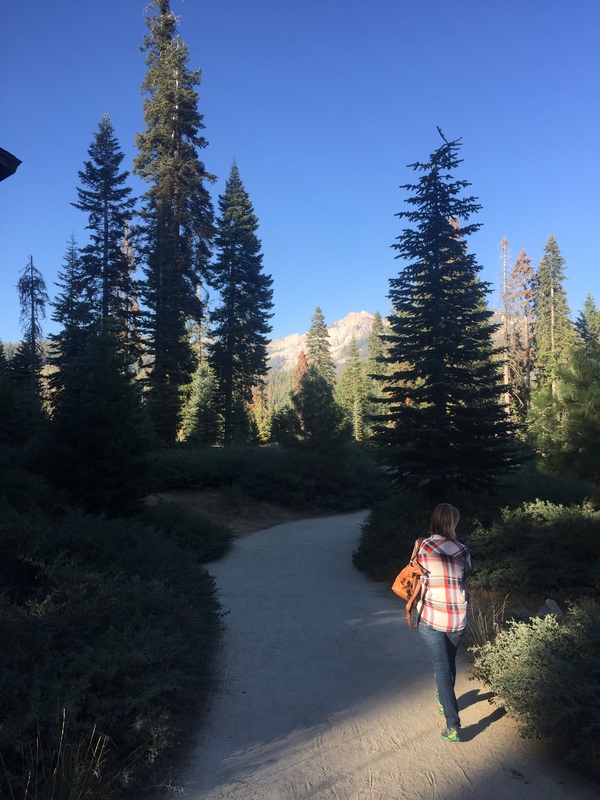 We stayed at the Wuksachi Lodge for two nights near Lodgepole Village and it was fantastic. We knew we were going on a busy holiday weekend, but we went early enough on Friday that the crowds weren’t too bad. 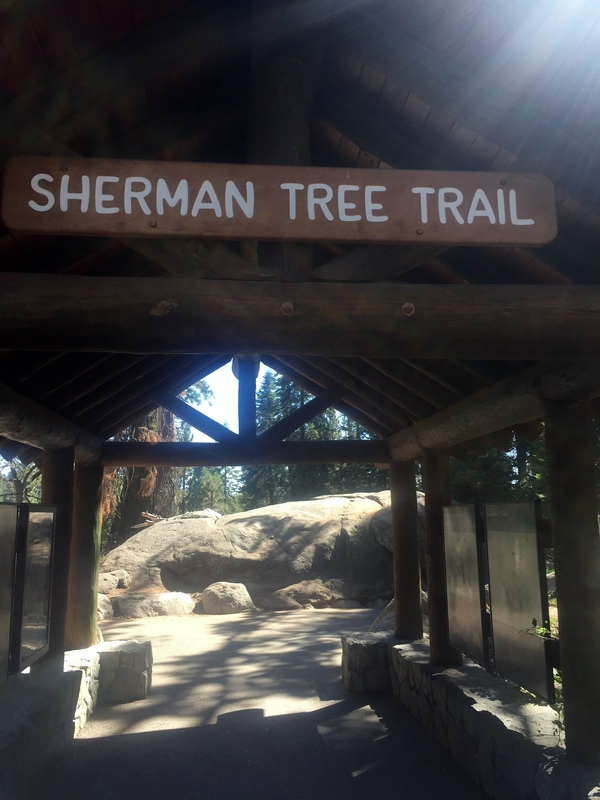 The first day we went to see the General Sherman Tree. 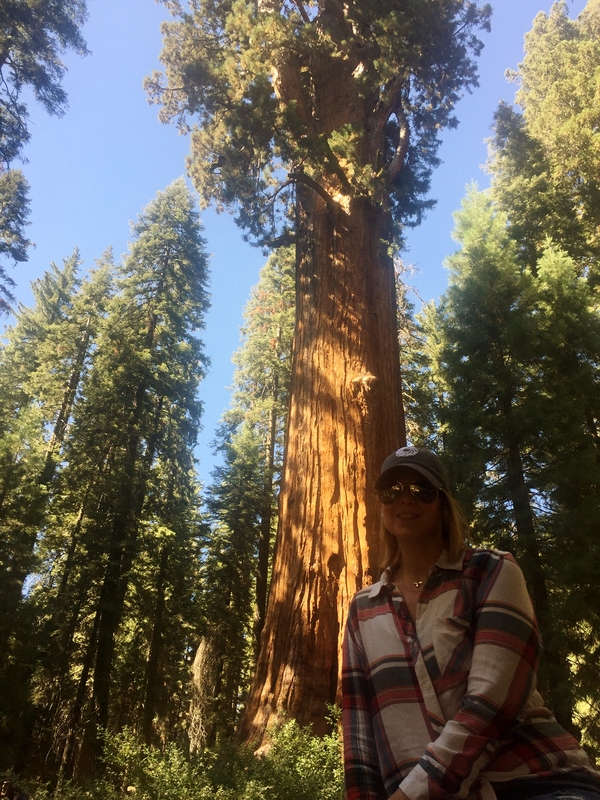 The sequoias really are just enormous and the pictures don’t do them justice. To stand there and look up and just be completely dwarfed by this living thing and know that it has been here over 2000 years is just stunning. 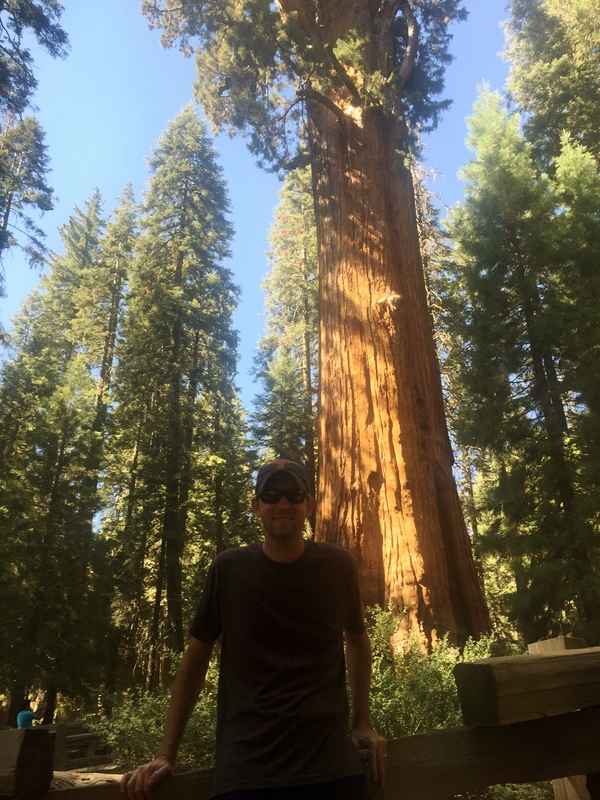 General Sherman is the largest living tree on earth by volume. 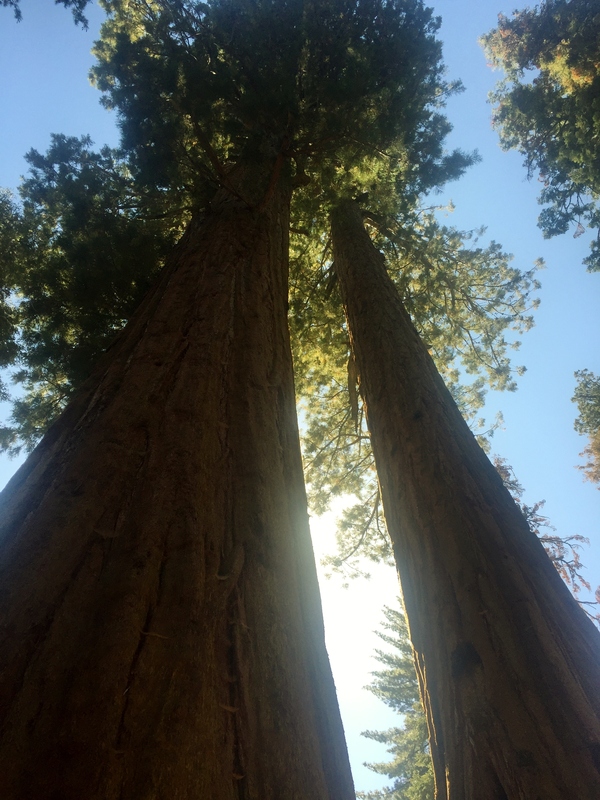 Other trees are taller or wider, but none has the combined weight and width of this leviathan. 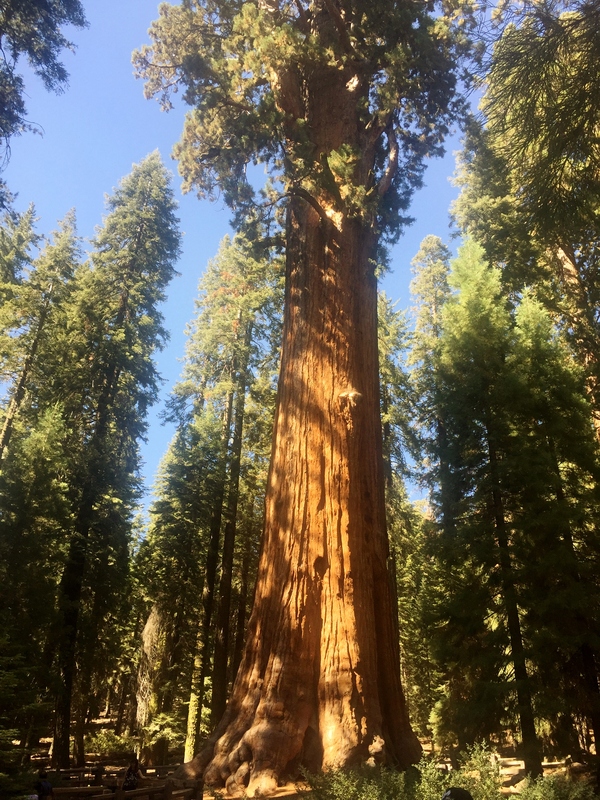 The General Sherman Tree measures 103/31-metres around, and soars 275 feet/84 metres into the blue Sierra sky—and it’s still growing. Every year it adds enough wood to make another 60-foot/18-metre-tall tree. Still can’t grasp the size? 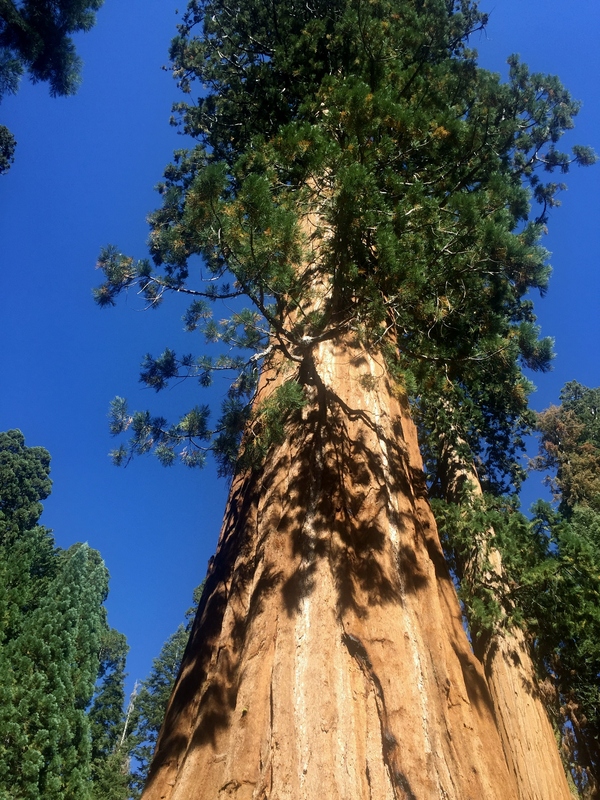 One branch of the General Sherman is so big—almost 7 feet/2 metres in diameter—that it’s larger than most trees east of the Mississippi River. 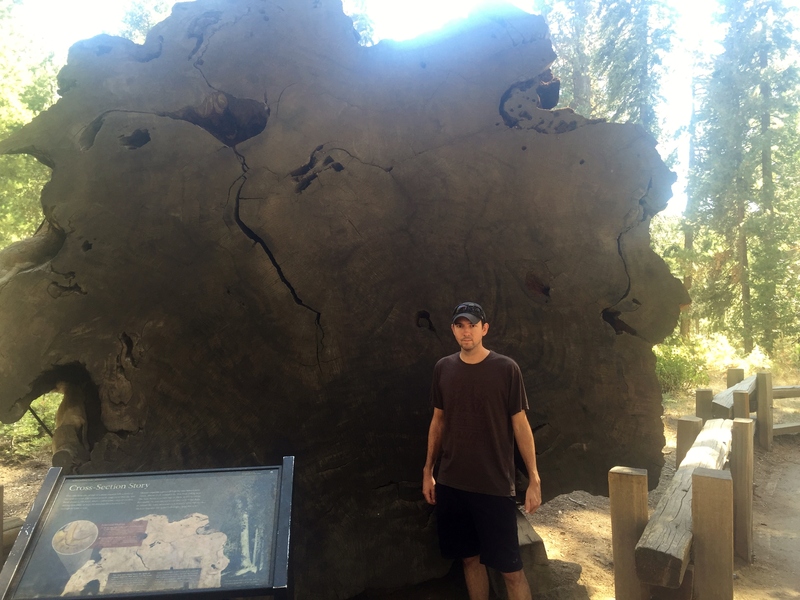 Considering the giant sequoia’s size, you might think it’s the world’s oldest tree, but it’s not. 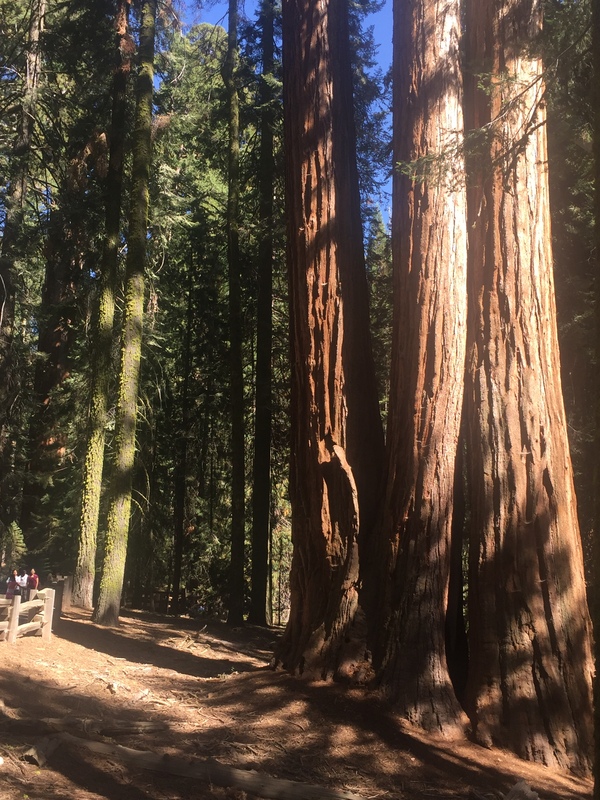 Admittedly, at roughly 2,200 years old (no one knows for sure), the General Sherman is no spring chicken. 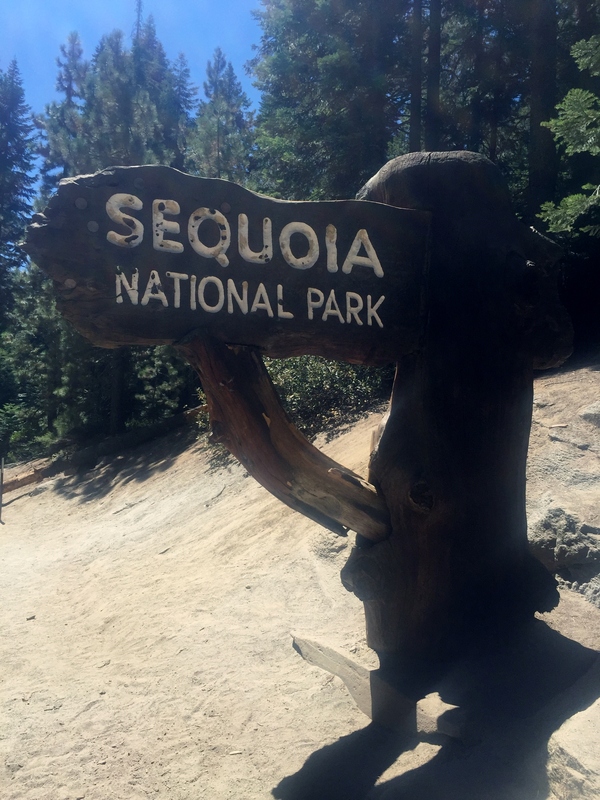 But giant sequoias are only the second oldest living trees: ancient bristlecone pines, found in the White Mountains to the east. 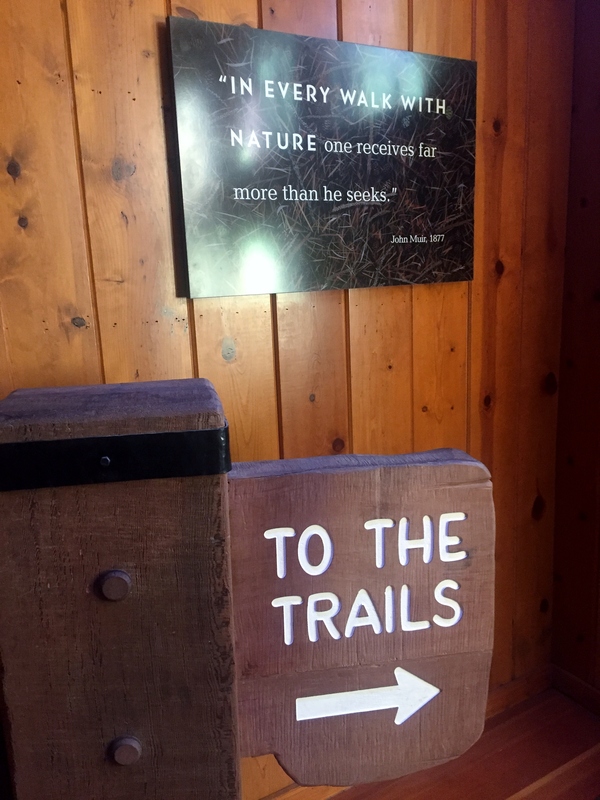 The trail was paved and not long, but it was a nice walk. Coming back up we saw our first (and only) bear of the trip! He was literally about 15 feet off the trail just sniffing around. Of course, dumb tourists were trying to get selfies with him and I secretly hoped he would get angry with them, but he did not seem to care. He scampered off before I could get a pic (not a selfie). 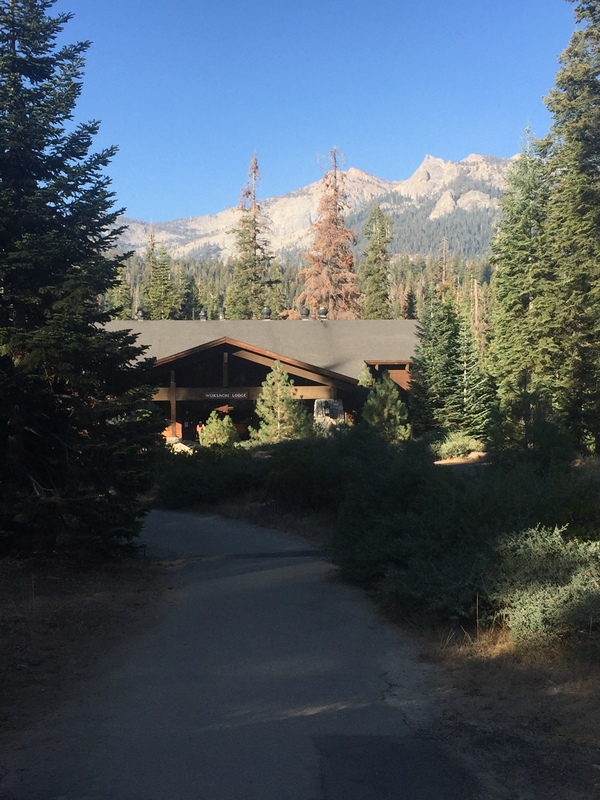 We headed back to the lodge after General Sherman to eat dinner and rest up for the big hike the next day.